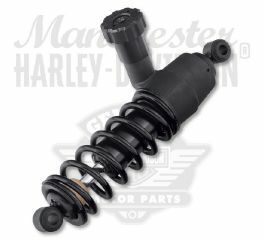 Harley-Davidson motorcycles ride as good as they look with H-D motorcycle suspension systems. 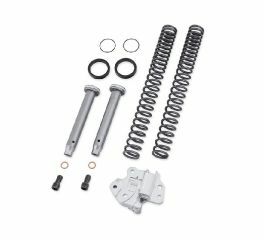 Choose a Profile® low front or rear suspension for a custom fit. 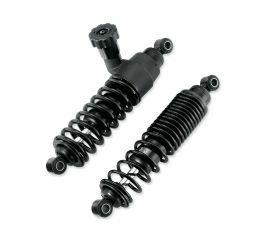 Comfort Flex standard-length shocks deliver an improved ride through a longer stroke. 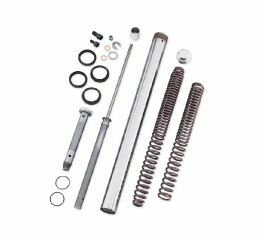 This Front Fork Kit provides improved handling performance by keeping the tire in contact with the road surface and features the Showa Dual Bending Valve technology. 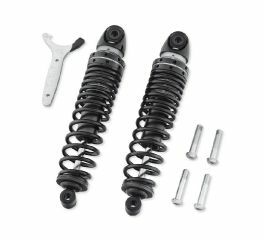 This suspension lowers the seat height approximately .75" while preserving ride quality. 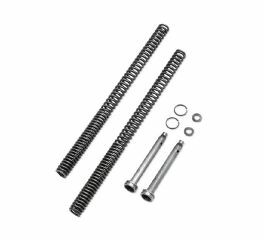 Spring and damping rates are tailored to ensure a controlled ride. 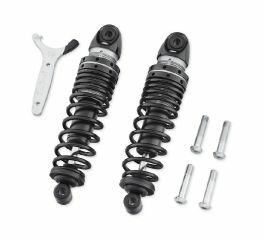 This low profile rear suspension system is engineered to minimize ride height while maximizing comfort for the rider and passenger. 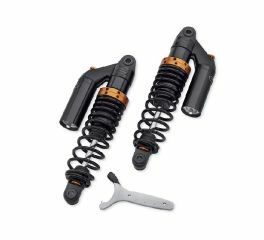 Original Equipment on the Electra Glide Ultra Low Model, this front suspension reduces the front fork length by over .7", reducing seat height and delivering a closer to the pavement riding experience. 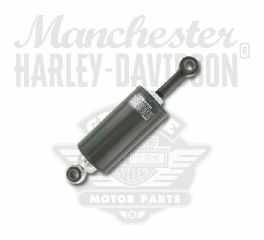 Harley-Davidson® Dyna® rear shock absorber. 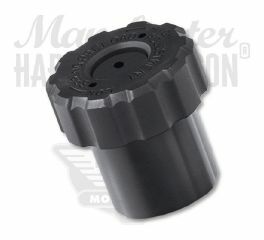 Supersedes part number 54512-90. 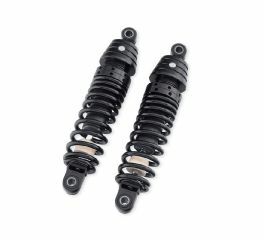 Experience the ultimate in handling and ride quality with these Screamin' Eagle® piggyback shocks. 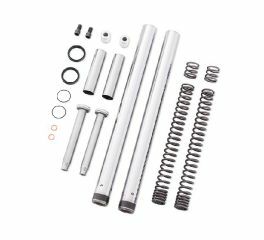 Experience the ultimate in handling and ride quality with these Screamin’ Eagle front forks. 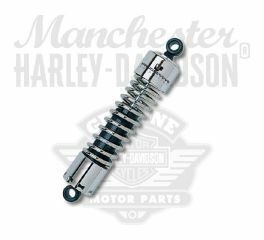 Experience a comfortable and confidence-inspiring ride – no matter the pavement conditions – with Harley-Davidson® Premium Ride Emulsion Shocks. 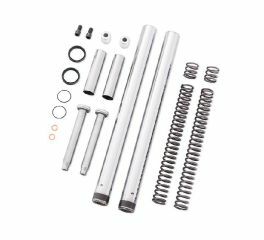 This Single Sided Cartridge Fork provides improved handling performance by keeping the tire in contact with the road surface. 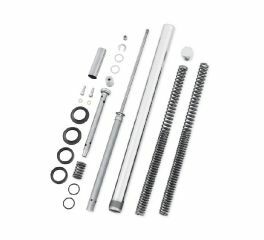 Unlike typical orifice damping, the piston/valve system helps the cartridge fork achieve a linear damping force curve for consistent feel throughout the compression and extension of the front suspension. 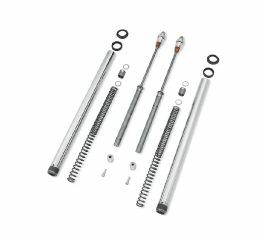 This Single Sided Cartridge Fork provides improved handling performance by keeping the tire in contact with the road surface. 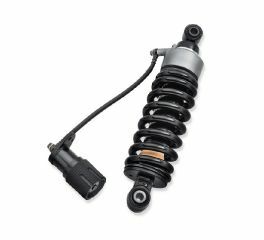 Experience the ultimate in superior ride quality with these premium Touring shocks. 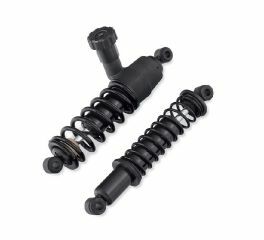 These shocks utilize a single tube, nitrogen charged design. 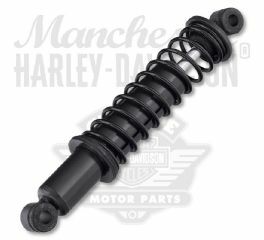 Designed by Harley-Davidson® to lower the front fork approximately 1.0" while preserving ride quality. 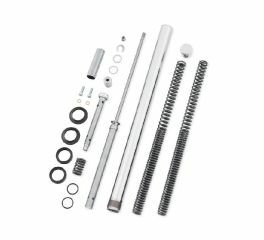 Lowers the front fork approximately 1.0"